If you sell your house in Bremerton and the nearby areas – we’re here to give a competitive all-cash offer! It’s a guaranteed offer you cannot ignore, where you receive your check in a matter of 3 to 5 days! Call us now at 253-254-5205 and get the fastest offer. Or fill out the short form below. 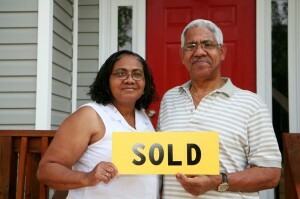 No need to worry about your house condition – we’ll take it from there once we bought your house! Leave the worries to us! Want To Sell Your House Today? We Buy Houses Bremerton! Two good reasons why you should sell your Bremerton WA house to us: 1) You convert your house into easy cash the fastest way, and 2) You avoid further problems associated with your property. It means we’re here to deal with any payment arrears, upside down in mortgage, owe liens, pre-foreclosure, relocating, unwanted inherited property, vacant house, expensive maintenance & repairs, fire damaged, annoying rental occupants and more. Contact us to buy your house in Bremerton! Obviously, selling a house in Bremerton isn’t easy, knowing there are many obstructions associate with it. Aside from that, sticking to the traditional way of selling a house through a real estate agent may not work efficiently. Just think of the many tasks involved in selling a home when you hire a real estate agent: repairs, cleaning up, preparing multiple documents, contract reviewing, signing of contracts, looking for a real estate agent who can handle everything. The tasks seem endless and so stressful. And if there’s a disapproved bank loan, an agent can also put you to the risk. Transaction may end up with a retail buyer who will withdraw the deal for the last minute. This is extremely frustrating! Why stress yourself with the demanding tasks involved in processing a house for sale and agent’s fees? Get that stress off your shoulders and have an advantage in getting a fair all-cash offer within 24 hours. Simply fill out and submit the short property info form below, then receive our cash offer within 24 hours! Leave the repairs to us. All you need to do is accept our fair cash offer. Selling your house in Bremerton and nearby areas is never this quick and easy. Turn your house into cash in just 7 days! No need to depend on the traditional bank and other financing institutions…click this link to learn about our process. Regardless of your house condition – location – timeframe – price range…Elite Acquisitions, LLC will assist in converting your house into easy money with our fair all-cash offer. No situations too difficult for us to handle. We’re here to deal with any situations you have, whether that’s divorce, foreclosure, hassles in monthly payments, irresponsible tenants, relocation, or other issues. If you have problems with your property, give the burdens to us. We buy houses in Bremerton including the areas surrounding it. Need to discuss personally your house condition? Our staff member is available to address your concern. Just dial 253-254-5205, talk to someone from our office and submit your property information. Our no-hassle and no-obligation offer awaits you. We buy houses in Bremerton, WA extending it to the nearby areas. You have everything to gain… so contact us today if you need to sell your house fast!